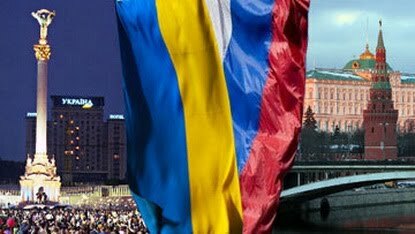 WASHINGTON, DC -- The Ukrainian government and opposition alike have reacted coolly to Russian Prime Minister, Vladimir Putin’s, April 30 proposal to merge the two countries’ national gas companies, Naftohaz Ukrainy and Gazprom. The government apparently does not see many benefits from such a move and hesitates, afraid of spoiling its relations with Russia and hoping that the European Union, as the main consumer of Russian gas pumped through Ukraine, would address the issue. However, the EU has reacted passively, leaving Kyiv and Moscow to decide how the transit route will be managed. The final decision may be taken during Russian President, Dmitry Medvedev’s, visit to Ukraine on May 17-18. Former Prime Minister, Yulia Tymoshenko, currently the most popular among the opposition leaders, was the first to react to Putin’s proposal. She told a press conference in her western stronghold of Lutsk that a merger could lead to a non-transparent takeover of Ukrainian energy assets by Russia. Tymoshenko predicted that Ukraine would control only 6 percent in a unified gas giant, which would make it impossible for Kyiv to manage its gas assets, including the pipelines. Putin’s Press Secretary, Dmitry Peskov, evaluated Naftohaz at even less than that –just 5 percent of Gazprom. It took Ukrainian President, Viktor Yanukovych, and the government five days to respond to Putin’s proposal, probably not just because of the holidays but since they really were taken by surprise. Both Yanukovych and Prime Minister, Mykola Azarov, said on May 5 that Putin’s proposal would be studied carefully. Yanukovych said Ukraine would primarily proceed from its national interests. This is a sign that he doubts that a merger of Naftohaz with Gazprom would be in Ukraine’s national interest. Yanukovych also said the EU should be involved at some stage if Ukraine decides to accept Putin’s offer. Earlier, the Ukrainian government suggested that the EU should participate in an international consortium to manage Ukraine’s gas pipelines along with Russia. Neither Russia nor the EU expressed much interest in the proposal, therefore it appears that the trilateral consortium idea will be shelved. However, the British Broadcasting Corporation (BBC) Ukrainian Service reported on May 2, citing sources in Yanukovych’s team, that he believes the creation of such a consortium with participation by the West would be a better option than a merger with Gazprom. Like Tymoshenko, Azarov, commenting on Putin’s proposal expressed the fear that Kyiv’s share in a unified company would be too small. Azarov said he had told Putin in Sochi on April 30, after the press conference at which Putin had made his sensational offer, that Ukraine should be treated as an equal in such a deal. Putin, according to Azarov, dismissed his reservations saying that Kyiv should view his proposal as tempting and that “hardly any European country would say no” in Kyiv’s place. European reaction has been very cautious, disappointing many in Kyiv. Marlene Holzner, a spokeswoman for the EU Energy Commissioner, Guenter Oettinger, said that a possible merger of Naftohaz with Gazprom was an internal matter for the two sides. At the same time, she said the EU expected Ukraine to reform its gas sector. Later, in Brussels, Oettinger told Ukrainian Fuel and Energy Minister, Yury Boyko, that it would be for Moscow and Kyiv, not Brussels to decide whether to merge Gazprom with Naftohaz. Oettinger stressed that this was an issue between Russia and Ukraine only, and that he saw no reason why the European Commission, the EU executive body, should react. Boyko, for his part, said more time would be needed to study Putin’s offer. Bohdan Sokolovsky, who advised former President, Viktor Yushchenko, on energy issues, said the EU’s stance unpleasantly surprised him. He noted that if Gazprom took over Naftohaz, the EU should then address its recommendations on gas sector reform in Ukraine to Moscow, which in this case would set the rules of the game not only in the Ukrainian gas sector but also throughout Europe. Yushchenko was no less outspoken saying that the situation was reminiscent of the Cold War era. He warned that a possible merger of Naftohaz with Gazprom would be used to “exert pressure on the whole of Europe,” making the European energy market more monopolized and vulnerable to corrupt influences. The Razumkov Center, one of Ukraine’s leading pro-Western think tanks, suggested that a merger would benefit Russia rather than Ukraine. Energy expert, Volodymyr Omelchenko, speaking for Razumkov at a press conference, opined that no true partnership between Gazprom and Naftohaz but only acquisition by Gazprom was possible as Naftohaz is much smaller. He said that in the event of Naftohaz’s takeover, Gazprom would secure access to Ukraine’s underground gas storage reservoirs and decide on the size of fees that Ukraine is paid for pumping Russian gas to Europe.